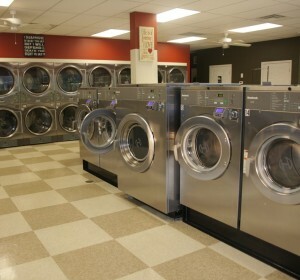 Starting in the late 1950’s running Laundromats, we have built a reputation for supplying customers with the right equipment for the right location. 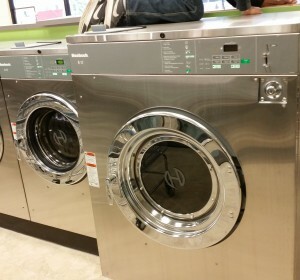 We have years of experience when it comes to assisting Laundromat owners with replacing equipment- from top loaders to large capacity washers & dryers, we’ve got it all. Laundry Equipment has over the years become a innovator in laundry distribution, a valuable resource in helping customers better equip their Laundromats and increase profits in their stores as well as New Sight Selection, Demographic Studies and other services for new owners. ACE Commercial Laundry Equipment in an authorized Huebsch® Commercial Laundry dealer in Southern California and our commercial equipment in not only specifically engineered for coin laundry operators who demand hi performance out of their equipment- but state of the art features as well. Huebsch is the answer for superior quality and reliable performance. Huebsch® top load vended washers combine low water usage with a higher spin speed to offer owners maximum energy efficiency and performance. Innovation that delivers ultimate efficiency, helps lower utility bills with Galaxy™ 600 controls, featuring advanced cycle modifiers to maximize your revenue. These machines offer a 20% larger capacity, and they’re more powerful than ever. Huebsch’s Galaxy line of washer extractors with eBoost takes quality and reliable performance to new heights.eBoost is a revolutionary technology that greatly increases efficiency & reduce your utility expenses. Huebsch® commercial vended tumble dryers are designed to adhere to the highest construction standards and will satisfy customer demand for fast drying. 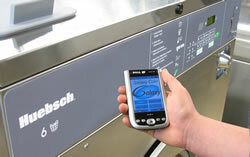 With Huebsch®, you can make your laundromat as unique as you. Capture your personal aesthetic and express your creativity, New control panel options go from bold to classic with Cityscape and Citron styles as well as the standard Slate design. And our sleek new Halo door rings and polished chrome handles make the perfect complement to elevate any space. 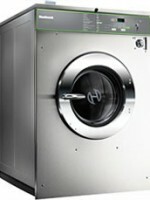 Watch how you can customize and modernize your laundromat with new design accents from Huebsch. Huebsch’s Galaxy line of washer-extractors with eBoost™ takes quality and reliable performance to new heights. eBoost is a revolutionary technology that greatly increases efficiency. More durable than ever, it will reduce your utility expenses and will provide a better laundry experience for your customers. For profitability, reliability, and ease of use, Huebsch is the answer. brilliantly combines advanced features and intuitive operation to deliver laundromat revenue unlike anything else in the industry. • Multi-Level Vend Pricing allows you to charge extra for warm or hot water, resulting in improved profitability. 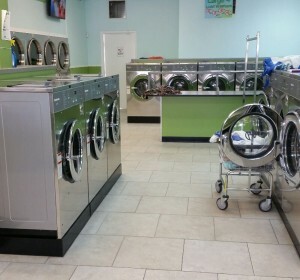 • Cycle Modifiers offer customers additional options and flexibility for their wash needs while bringing laundromat owners another powerful, revenue-enhancing feature. • Time-of-Day Pricing enables price variations throughout the day, helping you manage peak laundromat customer usage and compete for new customers. 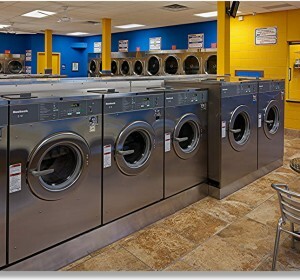 • 24 Customizable Cycle Selections provide customers with options to optimize vended laundry machine wash results for various loads while creating added revenue opportunities for laundromat owners. • Multilingual Operating Instructions increase laundromat customer acceptance and remove the expense of additional language signage. • Easily Accessible Service-Related Audit Data helps you manage your commercial laundry equipment costs and ensure longevity. • Service Diagnostic Troubleshooting lets you run factory tests, diagnose problems and quickly understand issues so they can be corrected. • Computer Connectivity Galaxy controls allow you to program and monitor your commercial laundry equipment from your PC or laptop. With Galaxy, you can retrieve and analyze performance data and alerts for ultimate control and convenience. • 200 G-Force Extraction provides maximum water removal, shorter dry times, lower utility bills and satisfied customers. 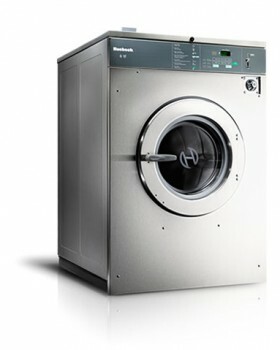 • 24 Cycle Combinations optimize washing, giving customers options and ensuring the best possible wash per load type. • 30 Programmable Water Levels can be adjusted by segment and customer feedback for the most economical water setting, delivering the best wash results at the lowest expense. • Patented Water Guardian Leak Protection and Slow Drain Detection monitor leaks for both commercial washing machine drain and fill valves, eliminating wasted water and resources while also reducing preventative maintenance. • Payment System Open Architecture allows for easy integration with your aftermarket payment system.o. 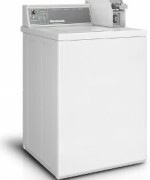 Laundry success begins with world-class equipment. 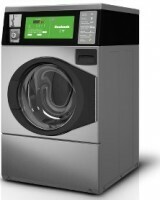 With a commitment to ongoing innovation, Huebsch® offers a full line of products designed and built to deliver ultimate efficiency and performance to coin laundries, on-premises laundries and commercial laundries of all types and sizes.